What is Small Batch Beauty? Please be reminded that prices of raw materials have increased so we had to raise our rates for free shipping. Free shipping is free for purchases above PhP 1,500 for Metro Manila and provincial addresses. FREE SHIPPING offer is not applicable during the Holiday Season (November-January), and special promos. WE WILL NOT SHIP WITHOUT PROOF OF PAYMENT. Strictly no deposit slip, no shipment policy! We will only use XEND or LBC to ship out orders. There will be a choice for you in the order form. We only ship on Wednesdays and Saturdays. Cut off for Wednesday shipping is Monday at 5:00PM, and cut off for Saturday shipping is Thursday at 5:00PM. Please note that sometimes there is a delay in sending our orders. The reason for this is because we produce small batches of our products, therefore, sometimes when we run out of products, we make a fresh batch of the item to accommodate the order. We are not a big company that produce thousands of products in one run. All products are made with love by hand so we cannot promise exactly when we can ship the orders. But we DO try our best to stick to Wednesday and Saturday shipping days. Tracking number will be provided. Please track your parcel using this number and the website of the shipping company of your choice. Refrain from following up from us. Use the tracking number given to you. We will assist you the best way we can, but please kindly use your tracking numbers. We CANNOT GUARANTEE when the items will arrive on your doorstep. We will ship on scheduled days, after that, pick up and delivery will depend upon the courier. Know that Xend is cheaper, but LBC is more reliable. Since we only pay for basic shipping fees, please do not expect overnight or expedited deliveries. 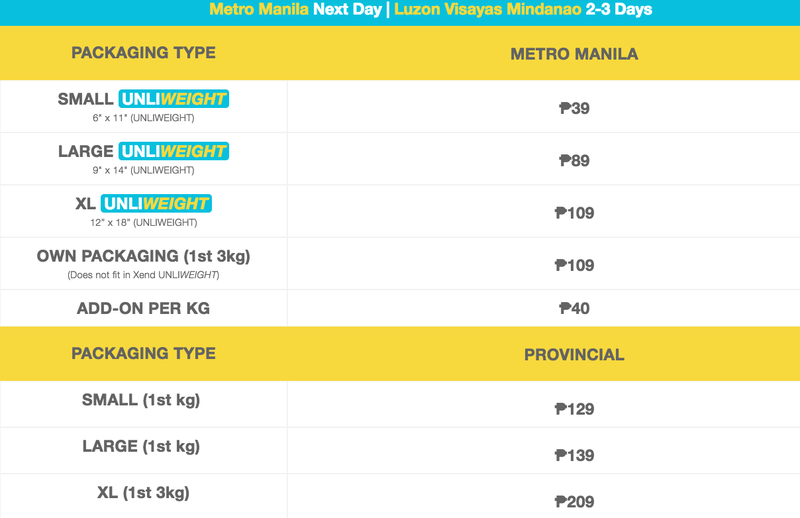 Provincial deliveries can take up to 1 week, and 2-3 days for Metro Manila. If 1 week has passed and you still have not received your package, then shoot us an email and we will follow up for you. We are not liable for lost parcels. We will provide supporting documents and necessary proof of shipment. We will not be responsible for undelivered parcels to incomplete addresses. Please provide proper name of province, city, and postal codes. We will not be liable for products that are broken or have leaks. Our products are housed in bottles and jars that are top of the line. We promise to wrap your orders the best way we can to protect the products with bubble wrap, but we cannot control how parcels are handled by the riders and the courier so we will not be liable for any damaged products. But please, get in touch with us and we may be able to replace the said items. Please note that Xend has increased their shipping fees. For a large parcel, PhP 89 (L pouch) and PhP 109 (XL pouch) for Metro Manila, and PhP 139 (L pouch)) and PhP 209 (XL pouch) for provincial. Please note that if you choose LBC, you can opt to declare the value incase for lost or damaged parcels. There is an additional fee. There is an additional charge of PhP30 on top of the shipping fee to cover the cost for bubble wrap and other packing materials. Which we will include in the shipping fee. Please know that our preferred couriers do not ship without a ZIP codes for there is a chance there will a delay in sending your parcel. So to avoid any delays and lost parcels, PLEASE, provide your complete and accurate shipping address with proper ZIP CODE. If you are not sure if someone will be home to receive your package, let us know who to look for in your neighbor's house or who else can receive your package. We will not be liable for undelivered parcels on the day no one was home to receive them. If your orders cannot fit in one courier bag, we will ship them separately. Please understand that there is a chance that the packages may be delivered on separate days, and will be subject to additional shipping charges. 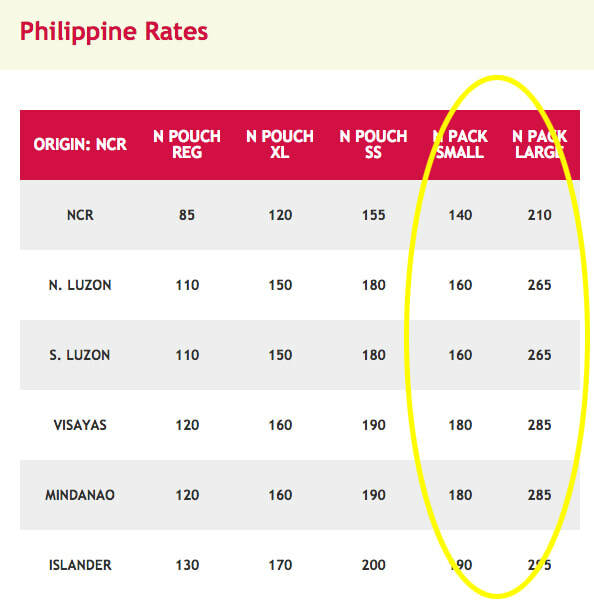 If your orders will require two pouches, you will be charged for two parcels. Can't wait to receive our Nekkid goodies? Maybe you would like to send a gift to your loved ones? Or maybe you do not want to risk leakage or breakage during shipping?  Granted all products ordered are available.  You live within Metro Manila.  Delivery via Grab Express, Lalamove or iSend. Fee to be shouldered by the customer.  Maximum of 5 deliveries (from 5 different customers) per day.  Someone is available to receive your package at drop-off location.  We cannot guarantee time of delivery, but you can track your package real time.  If it's raining hard, we will wait until the rain stops. We care about the riders' safety & well-being.  No-rushing please! We will book Grab, Lalamove, or iSend as soon as we have completed preparing and wrapping your orders.  Orders to be delivered are paid in cash and in full. 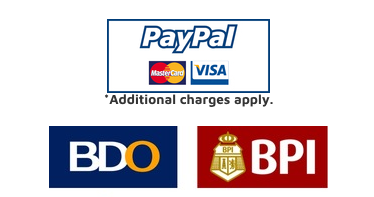 Cash on delivery of orders is not accepted (except for delivery fee).  If your order did not make the cut of the maximum deliveries per day, we will have it delivered the next available day. We will let you know when we will schedule your delivery.  Cut-off for same-day deliveries is 6PM. For iSend, 2PM. Due to the increased number of orders we receive per day (and we have you to thank for that! ), we have implemented a shipping schedule for shipping of purchased items. We only ship on Wednesdays and Saturdays. Please be informed that we no longer accept pick-ups. Cut-off for WEDNESDAY shipping is by Monday at 5:00PM, and cut-off for SATURDAY shipping is Thursday at 5:00PM. WHERE DO I BUY OR HOW DO I ORDER NEKKID PRODUCTS? Since we only keep a small batch of products on our shelves or make fresh beauty products each time they are ordered, you can only purchase Nekkid Products online via our website by sending a completed order form at CONTACT/ORDER page. We cannot stock a lot of them because of the short shelf life. HOW LONG DOES IT TAKE TO MAKE MY ORDERS? We only ship on Wednesdays and Saturdays. Depending on the courier, your orders may take 2-3 days to deliver. We need time to make, prepare, and pack your orders. 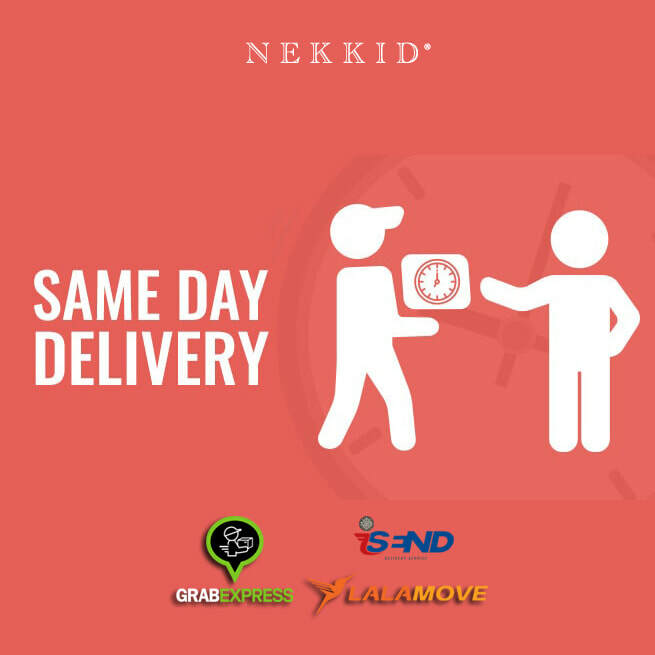 If you cannot wait, granted that all your orders are available, you can avail of our same-day delivery service using Grab Express, Lalamove, or iSend. HOW DO I RECEIVE MY NEKKID GOODIES? We generally ship all orders by couriers of our choice which is Xend and LBC. Depending on the bulk of your order, we may have to ship in batches so rates may vary. We will be packing it tightly and snugly with bubble wrap that's why we charge an extra fee of PhP 30 on top of the shipping fee. We normally ship individual customer orders within 3 business days - but during holidays, please don't expect our small business 'Mom & Pop' shop to be able to keep up with a schedule like the mall! (Wholesale customer orders take 2-4 weeks (for weddings, parties and showers.) So if you place your order over a weekend, please don't start counting business days until Monday! Or if it's a holiday weekend, Tuesday! Orders placed during the Christmas season often take longer, especially if you are ordering gift sets that need assembly, or if your order is especially large. We thank you in advance for your understanding. If you need your orders on a weekend, PLEASE don't order on Friday night expecting that we are somehow going to get your package to you by Saturday or Sunday. Although we take orders anytime of the day (or night! ), count only weekdays - Monday through Friday. DO YOU SHIP PROVINCIALLY OR INTERNATIONALLY? YES! Provincial orders will be shipped 1-3 business days after we send them, while international orders might take up to two months! We will give you an estimate when you will receive your orders. SHIPPING CHARGES WILL BE SHOULDERED BY THE CUSTOMER. For international orders, free shipping does not apply.